Good luck to the Electric Eels, a Windsor based swimming & synchro club for people with Down Syndrome, who are heading off to Canada next month to take part in the 2018 World Championships. To help them on their way STA recently donated £500 towards their travel expenses and supplied branded swim caps. 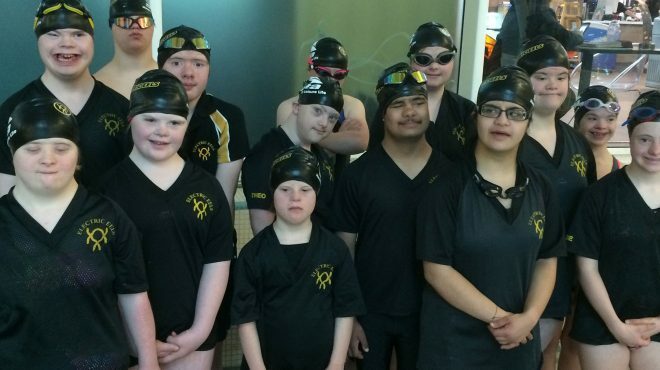 Approximately 750 children are born with Down Syndrome each year and with a limited number of specialist swimming clubs available in the UK to support them, STA was delighted to be able to help the Electric Eels in their quest for gold at the World Championships. Dean Holmes, STA’s Charity and Fundraising Development Officer, said: By supporting and raising awareness of the great work Electric Eels are doing, we can help demonstrate all the wonderful aquatic opportunities that are available to children/young people, regardless of ability. We wish them every success at the World Championships next month. The Electric Eels was founded by Pauline Walker in 2008, and the club now has 32 active members, comprising both experienced and non-swimmers. With her team of volunteers, Pauline not only gives youngsters the chance to experience all the benefits of swimming, but also creates fantastic opportunities for them all around the world at different swimming and synchro events. In recognition of this they recently received the Queen’s Award for Voluntary Service. 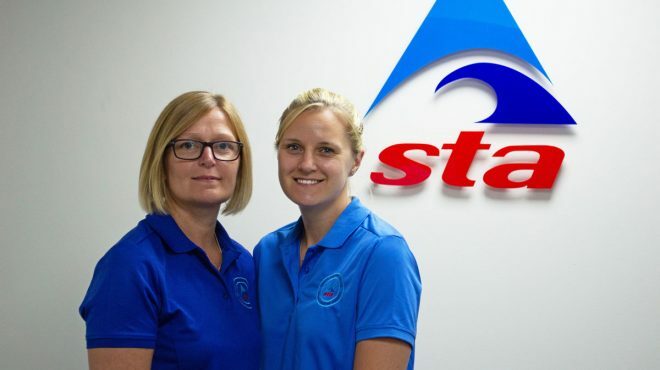 Pauline, who has over 33 years’ experience in disability swimming, is someone who ‘aims for the sky and gets stars’ and this go-to attitude has resulted in her swimmers having great success representing Great Britain across the globe. Let’s hope they bring back even more medals from Canada! Visit the Electric Eels website to learn more.